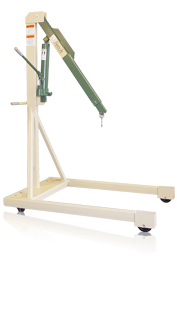 Designed and built to Beech Design & Manufacturing's rigid specifications, the B-1000 Straddle Crane is ideal for smaller loads. With a lift height of over 100", the lightweight B-1000 outperforms all other cranes in its class. 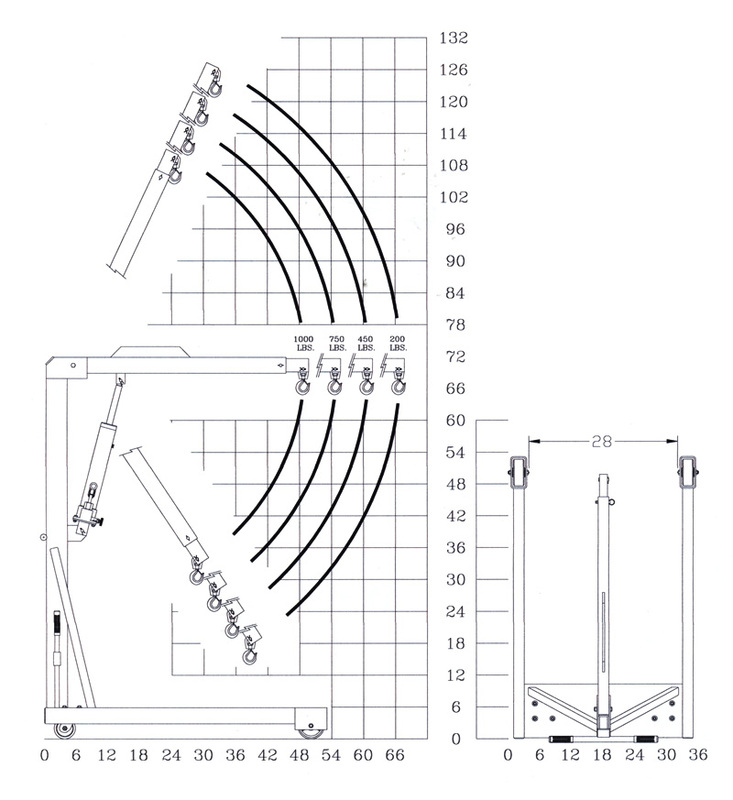 Lift height of over 100" at full capacity. For ease of movement, oversize roller bearings phenolic 5" diameter x 2" wide load wheels and 4" diameter x 2" wide steering casters are standard. 28" 43" 35 7/8" 53 1/8" 71 7/8"
2 Measured from the centerline of mast to the centerline of load hook.